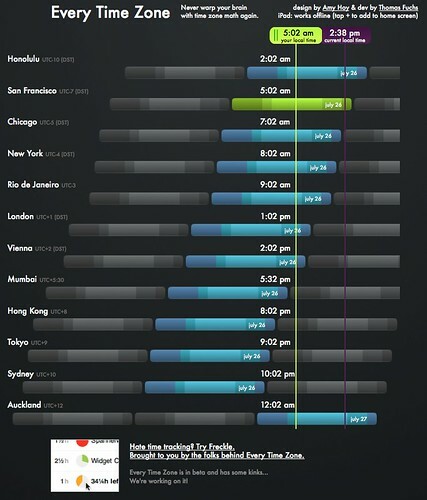 …from calculating what time it is across multiple time zones, thanks EveryTimeZone.com by Amy Hoy and Thomas Fuchs. b) An excellent example of how creating “non-product” value can get your product – in this case Freckle Time Tracking – generates huge attention from your target market. Way to go Amy and Thomas!